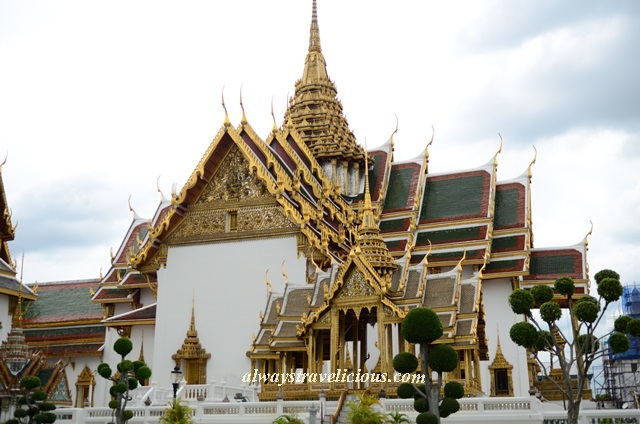 Grand Palace @ Bangkok, Thailand - Always Travelicious ! 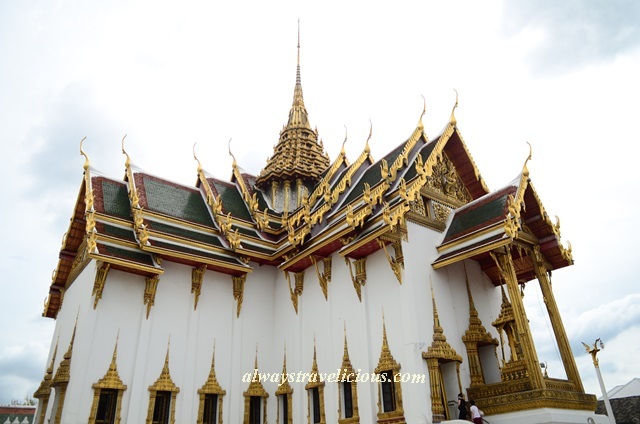 The Grand Palace was built in 1782 which was once the residence of the previous Kings of Thailand. 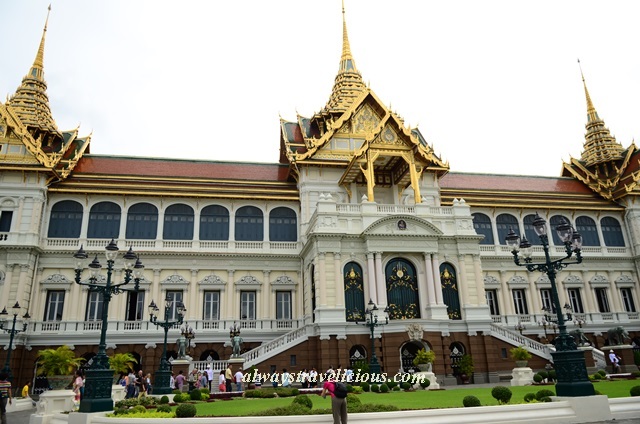 The Grand Palace today houses government offices and is an important venue for official ceremonies. With more than 200 years of history, new buildings were added and new architectural ideas were incorporated, resulting in a complex of buildings with eclectic architectural styles. While traditional Thai architecture is the most evident, it also has an extraordinary group of buildings which is the epitome of Thai meets West, where blends of European facade, traditional Thai glazed tiles and golden spires fuse seamlessly. 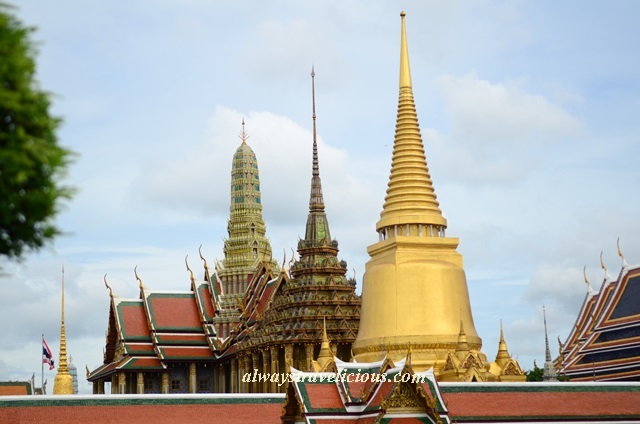 The sacred Temple of the Emerald Buddha (Wat Phra Kaew) is also located in the palace compound. 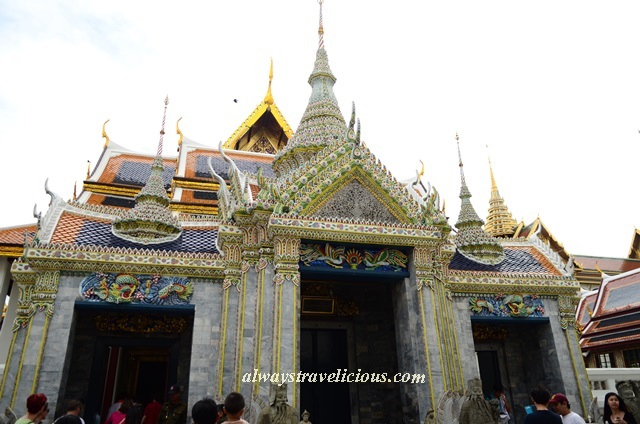 If you are visiting the temple first, this is the entrance that connects you to the rest of the Grand Palace. The Phra Thinang Chakri Maha Prasat building is where the Throne Hall is located. The Phra Maha Prasat group of buildings. The Phra Thinang Dusit Maha Prasat building. Details to some of the pavilions and entrances. Address : Na Phra Lan Road, Phra Nakhon, Bangkok 10200, Thailand. Admission Fee : 500 Baht for foreigners – includes admission to Wat Phra Kaew and museums in the compound.